Mike Lowe, 50, was by all accounts that I’ve heard a genuinely kind and good-hearted man. He loved his family and although he had no children of his own he absolutely adored being an uncle, doting on and looking after any of his nieces and nephews. He even helped raise one of his nieces after her mother passed away. He looked after and took care of his ailing mother (after receiving an honorable discharge from the Navy) until the day she ultimately died. Mike lived in Jenkins, Ky and it wasn’t unheard of for him to take people who needed a ride all the way to Lexington, Ky (a little over a 3-hour drive) and back without asking for anything in return. This is the type of man who would drop everything and come to your assistance if you asked him. He was a social butterfly and loved being around people in general. He was well known to be a ‘technical wizard’ and was constantly working on peoples computers and cell phones for them. When he wasn’t doing that, he was under a car hood with his brother or taking a road trip. He liked to remain active and had a sense of adventure when it came to travel. This gave him the dream of one day owning a home on the beach, somewhere in Florida. The above statements are why it’s so hard to believe that someone would enter his apartment on Mountain Breeze Road in Jenkins, Ky on October 4, 2016, and stab him multiple times. The last time his family saw him, on Saturday, October 1st he was talking about putting in a bar in his home. Smiling and jovial as he always was. After a few days passed without any word from Mike, his sister, who also lived at the apartments on Mountain Breeze Road went to check on him. His door was closed, but unlocked, so she entered to see if anything was wrong. When she found him, she immediately called 911 and then the rest of the family. As his brother and sister-in-law received the call, they assumed that he had perhaps had a stroke or a heart attack. They got into their vehicle with urgency and drove to the apartments, greeted by the flashing blue lights of law enforcement, and a commotion that instantly filled them with dread. They knew something more monstrous had happened. Law Enforcement said there was no sign of a robbery, and they believe whoever murdered Mike knew him. That fact, in and of itself, would make no sense to anyone that knew him. His family doesn’t know of anyone that had a problem with Mike, and he hadn’t mentioned anyone to them prior either. However, I’ll say from what I have read regarding the apartments Mike lived in… they at times did attract some rather unsavory people. I’ve tried to think about scenarios that would lead to whatever happened. All I can think is that his selflessness and desire to help people is what lead to his death. The confounding part about that is, there wasn’t anything taken from his apartment as I mentioned before. So, if someone came to his place and he welcomed them in, why would they have killed him and not taken anything? What could this man, that I’ve heard nothing but good things about have possibly done to make someone want to kill him? His family is still waiting on the results of the forensics to come back. Generally speaking, when an individual is stabbed multiple times, blood causes the knife (or whatever weapon is being used) to become saturated and difficult to hold without slipping. This typically means the knife ends up cutting the attacker and leaving some of their DNA behind. I haven’t seen a murder weapon mentioned, so I’m going to assume that whoever did this brought it with them. Evidence of a struggle wasn’t mentioned either, but I’m going out on a limb and saying that LE probably is keeping a good deal of the details private since they’re still actively investigating this case. I’m hopeful that the forensics will come back with multiple DNA profiles, and even more so that the perpetrator already has his DNA on file. I want nothing more than whoever killed Mike to be brought to justice so that his family can have some answers and limited closure. 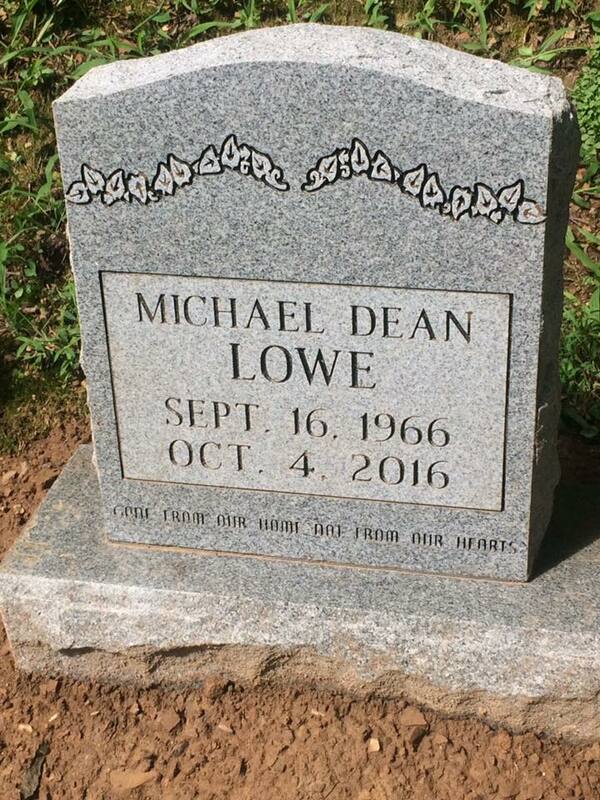 If you know anything about Mike Lowes murder, and I mean anything, rumors often turn out to have slivers of the truth buried inside…..please contact KSP Post 13 at 606-435-6069. Why have the fore chi blood tests not been done? It’s been over a year! I’m guessing it’s due to the fact that there are only 6 crime labs in the state of Kentucky.